Porta Trace Light Table - GS Direct, Inc. 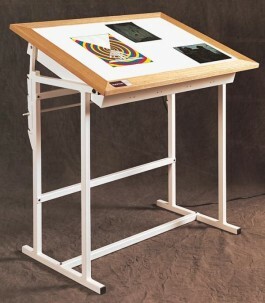 The only free standing LED light table on the market…. Components are CE and RoHS. This newer technology allows our light boxes to be used in any country. Three year limited warranty. If lighting fails in this period, we will fix for free (excl. shipping). If beyond this period, we will fix at reasonable, fair market prices. We absolutely stand behind the Porta-Trace quality brand name.